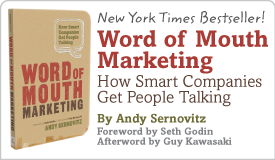 Let your customers do your advertising | Andy Sernovitz | Damn, I Wish I'd Thought of That! I love this campaign from Toyota: They are buying banner ads — and filling them with tweets from real people. 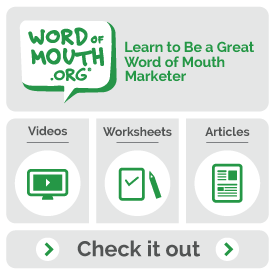 No marketer can hope to match the credibility of regular folks talking in their own words. It’s uncomfortable to trust that public voice — but all those tweets are already public. You gain incredible credibility and trust by showing that you’re truly transparent. More background on the campaign from ReadWriteWeb.